Please consider increasing your donation to cover the 2.5% processing fee. For more information, please contact Benefit Headquarters at 212-245-6570 [email protected]. The non-deductible portion of each dinner ticket is $300. Contributions are deductible to the extent allowed by law. 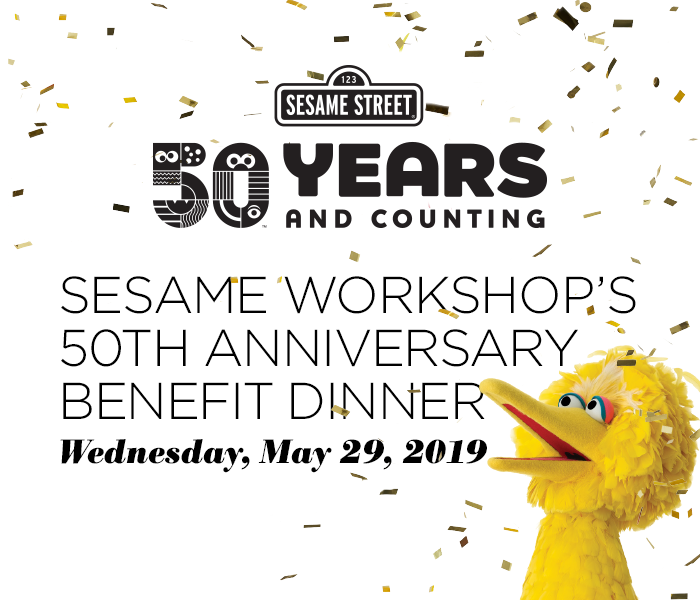 Sesame Workshop is a nonprofit, nondiscriminatory, 501(c)(3) educational organization. Tax ID# 13-2655731. © 2018 Sesame Workshop. All rights reserved.